One of the last large-scale shopping centres to be offered for sale on the instructions of Nama – Charlestown Shopping Centre at Junction 5 of the M50 in north Dublin – is expected to be of interest mainly to US private equity funds and a mixture of Irish and overseas companies planning to strengthen their position in the private rental sector. Agents Bannon and Savills are quoting €35.5 million for the complex, which has been made a great deal more appealing by the inclusion of an adjoining site with planning permission for 247 apartments and 7,000sq m (75,346sq ft) of shopping and other commercial space on the ground floor. The agents said the planned addition of some 400 residential units in the immediate area – coming after the sale of 235 high-rise apartments to IRES and other buyers in recent years – would “add significantly to the sustainability and ultimate growth of the centre”. Even as things stand, the shopping centre as well as the rented nine-screen Odeon cinema and Leisureplex facility are showing a return of 8% on the net operating income for the owners. The joint agents have been instructed to sell the entire investment in a single lot or, alternatively, in two parts: the shopping centre and leisure/cinema block as one lot and the mixed-use development site separately. The shopping centre and leisure facilities produce a combined operating income of €2,835,738, with the shopping centre accounting for €1.935 million and the cinemas and Leisureplex block yielding €900,000. The selling agents will be informing interested parties that more than 75% of the rental income comes from 10 tenants in a scheme that has an occupancy rate of 91%. Charlestown is anchored by Dunnes Stores, which owns its supermarket extending to 6,500sq m (70,000sq ft). The other main tenants are Heatons, which pays a rent of €450,000, followed by Boots (€400,000), Leisureplex (€225,000), Carphone Warehouse (€105,000) and Lifestyle (€70,040). 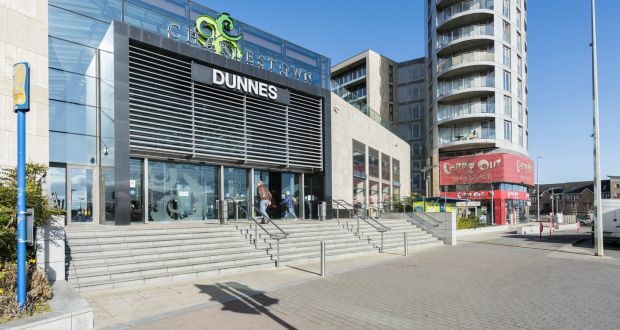 Apart from Dunnes, the centre has a lettable area of 8,638sq m (92,980sq ft) across 26 mall units, kiosks and external units. Much of the weekly average footfall of 54,000 is generated by free access to a 1,350-space underground car park. In 2013, the Charlestown management developed fast food outlets for McDonald’s and KFC at the at the front of the shopping centre. These were sold to Hong Kong investors for €4.3 million – providing returns of 6.5%. Rod Nowlan of Bannon and Domhnaill O’Sullivan of Savills, who are handling the sale, said they expect strong interest in the investment given the quality of the built scheme and the obvious potential derived from the lease-up opportunities and from the direct and indirect residential growth potential.